Pics: "Real Housewives of Altanta" Stars Attend Costume Gala! Halloween isn't for another month, but the holiday came early for the stars of "The Real Housewives of Atlanta." NeNe Leakes, Kandi Burruss, Cynthia Bailey, Phaedra Parks and newcomers Kenya Moore and Porsha Stewart all attended a costume gala thrown by Kenya over the weekend in Atlanta. According to photographer Robin Lori, the "Forever Relevant" event was in honor of "iconic black women who paved the way in film" -- with everyone dressing as their favorite star. 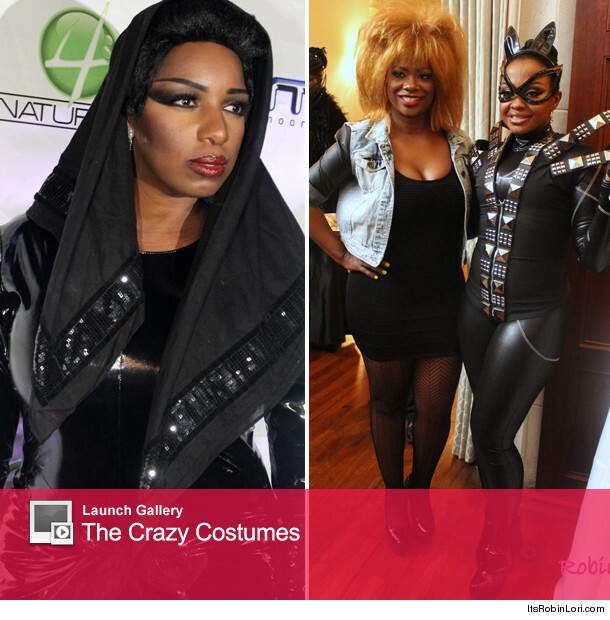 Nene dressed as Grace Jones, Cynthia and husband Peter Thomas came as Diana Ross and Billy Dee Williams in "Mahogany Brown," Phaedra wore a Catwoman costume and Kandi donned a Tina Turner wig. Newbie Porsha dressed as Dorothy Dandridge while hostess Kenya also came as Diana Ross. 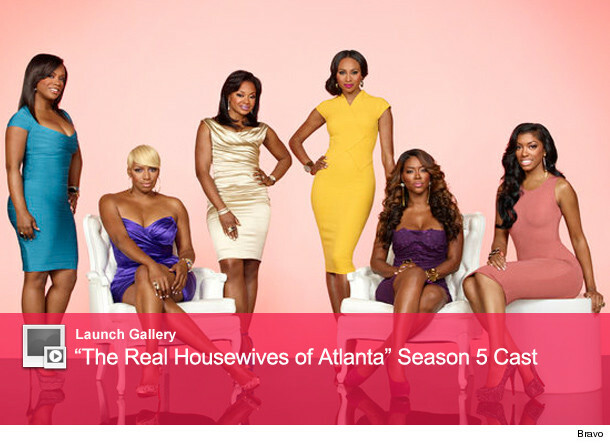 Missing from the action was Kim Zolciak, who will still appear on Season 5 of the Bravo show ... even if she didn't make the cast photo shoot below.